Tried the food at Old Town and also PappaRich and I think the food is overpriced. But nice place to hang out with friends, good ambience, especially if you just want to have a light snack. Eh and here I thought I could of caught FC! Blogroll is slow! pfff! 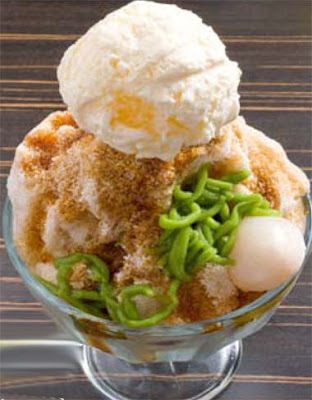 Oh but PapaRich's Special ABC with Durian sure looks appetitizing. Maybe I should tell my friends about it :P. And head there next time. Oh... must give PappaRich a try. 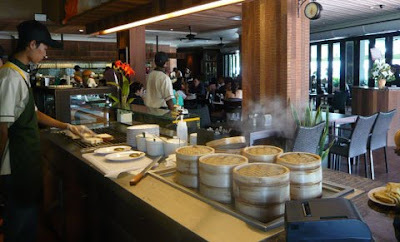 There are too many kopitiam-type restaurants in Malaysia. Competition must be fierce. Yalor Old town Coffee, nothing special and i agree with you. I never been to either of those outlets. been to all of them. i like paparich's organic soya :D thick and ...very soya-ish. but its exp! ever since i discovered toast & coffee in uptown, i nv go old town anymore, coz it is so overpriced with average food! I am not impressed with the food served at Old Town White Coffee. Have not tried the food at Pappa Rich though. They called it Ipoh kopitiam Old Town Coffee. Very popular over here too. Cannot comment because I have yet to tried both. After several visits to Old Town White Coffee, feel like noting much to order. The food is so so only. Haven't visit to PappaRich. Can't find it here in Penang. i dont really like old town too..
but yet to try the papa rich.. hehehe..
the food at old town is super cosy + not nice for me la..
Not a fan of commercial kopitiams, too much hype. Interesting comparison. Wow, 135 Old Town outlets?? Incredible. I've only eaten there about twice and yeah, I feel that the food is overpriced. Not much in terms of quality and quantity! I'm from Penang so I can't try out PappaRich. Why is it called so? One wouldn't associate the name with an eating outlet. :) Perhaps the next time I'm in the Klang Valley, I'll try to make a stop there. Old town have really lousy drinks! Their food not delicious oso. Agree that many other coffee shop can do better at cheaper prices summore. haven't tried either of them. But like you said, can see Old Town Coffee almost everywhere nowadays. I don't recall seeing a paparich outlet in jb. Btw, reason I go to old town is bcos of the hor fun, cannot find it elsewhere with some standards except Ipoh. i like dining at old town.. haha..
paparich? never heard of it..
Papparich doesn't exist in where I am now... haha. Been there already. What 135? Serious? Are you sure? I thought they have like 30 only. Wow! Now that's really a lot huh! I don't think we have PappaRich in Malacca. Yeah all in Klang Valley only huh! Discrimination. They have Avocado buns? Pumpkin buns? Now this is interesting. I hear their franchise is expensive which accounts for the higher food prices there at Pappa Rich. These days, I frequent Island Red Cafe, now changed to Pg Red Cafe. The food is nothing to shout about but may taste different at different outlets - inconsistency in quality. But for coffee lovers, their coffee is really excellent, esp their ice-blended coffee. It's their own brand of coffee. Whatever it is, our roadside stalls that still use the authentic recipe and authentic local cooks still serve the best food, and at more reasonable prices. I have nothing against foreign labor but let's face it, they really mess up the food taste. Sigh.. I tried all edi, pappa, kluang, and station one all tried edi lol! My fave is def old town!! I got angry with Pappa cause the first time we went there, we ordered the so-called famous pappa roti... then it never came after checking few times... of coz angry la so wanted to leave edi and then it arrived! So by that time no moo dedi to eat there... and the food is very biasa to me... nothing great..
simply love the kopitiams in malaysia... haha. and I like Old Town's garlic bread also! HOw bout The Big Apple?? Wow I actually don't really like Old Town too, frankly. And Saucer almost boycotted it! But then a lot of my friends enjoy going there... Maybe because of the environment? Air-conditioned? But I very much agree with you that we can get better food at cheaper prices elsewhere! As for Pappa Rich, my only gripe is their pricing! Almost all the main courses are close to or above RM10. Costly. But they do have more variety... I think their best food yet is the roti bakar! I love them! It's so good! And a far cry compared to Old town's skinny roti ok. Pappa Rich's version is thicker and fresher... Have you tried it before? As for the Pappa Rich ABC with an ice-cream on top? Guess what? Last week when I was there for lunch, I actually witnessed the incident whereby the waiter was going to serve that bowl of ABC but the ice-cream fell off in the midst of him walking!!! SERIOUS! We were all laughing, not at the waiter, but at the funny incident! I guess it's not very practical to place something round on top of a peak eh? :P Wow, what a long comment! cheahs@n, yes you have the right to remain silent. Anything you say can and will be used against you in my blog! LOL! Yeah, I quite like OldTown's nasi lemak - but it's getting boring already for me. Can't be eating nasi lemak there everytime right? They should seriously expand the menu! 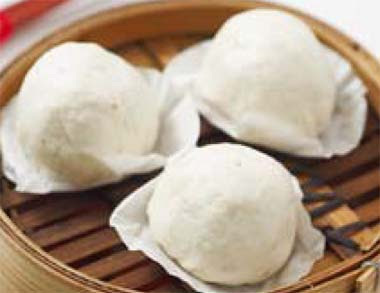 khengsiong, yes go try Papparich, but don't expect too much! Be prepared to pay however, as the price is high! Exactly so many competition from kopitiam-style restaurants yet OldTown still sticking to their lousy menu! CH Voon, change OldTown to NewTown? Haha! xin,I'm sure you've been to all since you are flogger! Haha! mei teng, I'm not impressed either. I guess the best food in OldTown is the nasi lemak and the chicken hor fun. Others are plain lousy! I'm not complaining about their lack of quality food - I think most OldTown's style of kopitiams do not have very good quality food - but their limited menu! jam, you should give them a try next time you come to KL! Especially Papparich, not OldTown. 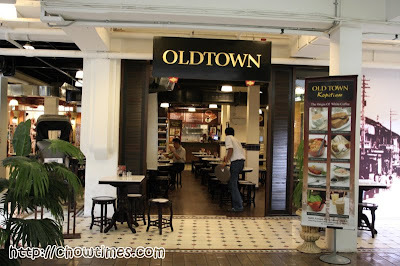 Btw, you can try OldTown at LCCT but it's even more overpriced there! dolly, the food at OldTown is super cosy? You mean super costly, is it? Haha! gallivanter, yeah too much hype, and that's why so many people flock over to these kopitiams even though the food are blow average and the prices sky high! josette, yes 135 OldTown outlets! Incredible right? I think they will soon take over McD as the franchise with the most outlets in Malaysia! Haha! Why is PappaRich called like that? No idea! bravebear, yeah, why some people bring their whole families to eat at OldTown is beyond me! lina, haven't tried before?! Oh, yeah you everyday go eat at Japanese restaurants. I forgot! LOL! Like that cannot eat at OldTown - you will surely complain about the food! Haha! You mean the Old Town hor fun is good? OK lah, not too bad but still cannot match with Ipoh's standard right? tekkaus, 30 outlets? haha! No, they have 135!!! Incredible right? Can almost take over McD as the franchise with the most outlets in Malaysia! Oh, so OldTown near your house! Then you can go makan there everyday lah. Somehow I don't associate OldTown with high class cos their food are so low class! haha! I do admit their nasi lemak is delicious, but is that all? I'm complaining about the lack of variety there cos I don't expect too much on the quality from all this type of kopitiams. happysurfer, really? Maybe the franchise for OldTown is cheap so they have more outlets sprouting! The coffee at Pg Red Cafe is good? Not much of a coffee drinker, but I don't mind giving it a try! Thanks! mariuca, wow! Tried all already! But your favourite is OldTown? What!!! I am shocked! Aiya! Cannot judge PappaRich by your first visit. Some more service not good when you visited that time. Give it another chance - I'm sure you'll find something that you'll like there! Honestly, the food there is better than OldTown! Haven't tried Japanese squid at Station One. Don't really fancy squid! Haha. ayie, wow so meticulous with food? Is that same as being fussy? In that case, I don't think you can stand OldTown! LOL! monica, oh yes the milo dinosaur and prawn mee not too bad! zamspotte, I haven't been to the Big Apple before. Is that a kopitiam or a restaurant? che-cheh, yes totally agree OldTown should improve on their menu and quality of food. Better go tai pai tong right? iamthewitch, yes I agree with you. And I think I will be joining Saucer to boycott OldTown! Haha! I love Papparich's roti bakar too! Thicker and fresher so unlike the horrible skinny roti from OldTown. The waiter dropped the ice cream from the bowl of ABC? Haha! That's funny! I will laugh too! Pretty long comment here? Well, you can always break them up like what you did in my last post aka spamming. LOL! merryn, what! Never been to both? Never mind lah, I think the Neighbourhood Cafe in Dataran Sunway is enough to satisfy you and Ethan! Haha! Aiya.... I went there few more times after the first incident Foong, service still same, food oso still biasa... but I still go la if got nowhere else to makan lol! i have only been to OldTown twice!! both are when i'm in LCCT and there's nothing much else to eat..
my colleague ordered Lam Mee and to our fright, it doesn't look and taste like it at all, but like a mutated version of Mee Rebus only.. not nice!! and that Lam Mee cost RM9.80, nothing much besides 2 prawns and three pieces of fish cake!! so overly priced..
luckily i ordered their signature nasi lemak ayam rendang.. RM11.90 compared to her Lam Mee is a lot more worth for the money..
anyway, i don't think the nasi lemak is very very nice that type lor.. just very normal to me..
i think it's more popular, because they are the pioneer of its kind.. when ppl think of this kind of modernised kopitiam, they will think of OldTown..
i actually hate all these kind of business.. the food are actually cheap things, but just a twist on the environment, they are charging so expensive.. this is snatching consumer's money..
well, if you let me choose between OldTown and PappaRich, i think i will prefer the latter one.. more choices and things are more creative..
and i think the food from PappaRich is actually more delicious than OldTown.. what say you?? Station 1 and Kluang Cafe can close shop la. Old Town WHite Coffee has terrible service but te one at Bangsar South is their BEST comfy outlet!! Wanna go? Papa Rich has better choice of food esp their Omega Eggs is world class ayam hatched punya leh! I thought you lost in Xinping until dunno how to blog other topic! You scared so many bloggers over your series of 1 trip! Tell me what was the ending of the story now!!! Anyone died? The guy dumped the gal? The Grandma's ghost came back? You were found lost in the Lion's den? LOL Just kidding! Ha ha ha ha! personally, i dont like Old Town much. but being the Ipoh boy that I am, I gotta support them somewhat. see ... if Old Town did NOT come up with such novel concept, you'd think there would be imitators? I don't really like to eat at these types of kopitiam but it is a convenient place for meeting people and friends. The food serve are very monotonous, not interesting at all! Haven't try Papparich before. But me and my wife love the coffee of OldTown. Did Papparich have nice coffee as well? bengbeng, I also don't understand this strange phenomenon. Expensive eateries with low quality food, but lots of people go! SK, yes there's nothing much to eat in OldTown - very limited menu! The LCCT outlet is damn expensive! The Lam Mee is really below average to me. And so pricey too. Won't want to touch it! The nasi lemak is quite good in my opinion, but still expensive! Yeah, the food is actually cheap, they are charging for the ambience. But the thing is people like to go there so what can I say? twilight zone, haven't been to Bangsar's outlet! But I don't like the food there - prefer Papparich! Really? Papparich's omega eggs is good quality? 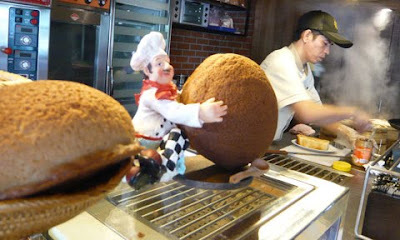 You mean OldTown's omega egg is inferior? Hey, my Xingping post where got so dramatic? You think this is a drama serial? Haha! J2Kfm, wah! Support OldTown just because you are from Ipoh! That's biased! Haha! superman, you like OldTown coffee? I guess it is quite famous, but not everyone likes it. Since I am not a big coffee drinker, I will not comment on their coffee. 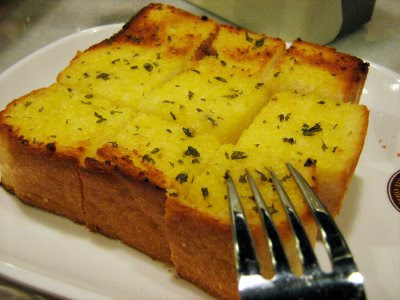 I like OldTown's garlic bread too. A must order every time I'm there. thanks for the review. I must go try papparich! Why do my white coffee mugs get gray inside after being washed in the dishwasher?